If you are a woman who has had an ectopic pregnancy then you know the heartache that an ectopic pregnancy can bring. “You have an ectopic pregnancy” is not what you want to hear from your doctor. This type of pregnancy does not end with a good result. It can be devastating to you and your whole family. Ectopic pregnancy is a silent, painful thing. Making plans for your new baby will turn into a very sad event. You probably will not know if you have this kind of pregnancy unless you start to have pain. Usually you will find out that you have this type of pregnancy when you go for your first ultrasound. 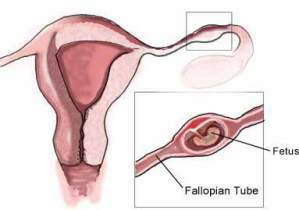 An ectopic pregnancy happens when the fertilized egg starts to grow inside your fallopian tubes. It can also grow in the abdomen or on the outside of the cervix. Once the egg attaches itself, there is no known way to re-establish its location. There is no procedure developed to solve this problem. Major surgery is not always necessary with the new technology advancement in medical science. 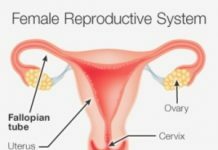 This makes the solution to an ectopic pregnancy less painful for you, and it will be easier to deal with for your physician. If you smoke and you want to plan for pregnancy again, then it would probably be a good idea if you try to quit. Smoking can be a cause of ectopic pregnancies. Gonorrhea and chlamydia infections are other causes of an ectopic pregnancy. Endometriosis in a previous pregnancy is a well-known cause for this type of pregnancy. This condition can leave scarring in the fallopian tubes. Other causes are surgery in the fallopian tubes or pelvic area, and In vitro fertilization procedure. If you have any of these risk factors, you will want to go to your physician at the first sign that you are pregnant. 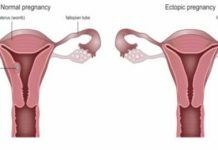 There are two things that will determine what kind of treatment will be needed if you have an ectopic pregnancy. Your physician will consider the location of your embryo when determining treatment for ectopic pregnancy. He will also take into consideration how long you have been pregnant. Your physician may prescribe medication to help with this pregnancy. Your physician will usually treat you with a drug called methotrexate. This medication allows the embryo to be absorbed back into the body. You will feel a great loss after your treatment for an ectopic pregnancy. You will have to give yourself time to heal. Be assured that this loss was not your fault. Sometimes a woman will get postpartum depression after the loss of a child. If you feel sadness, hopelessness, and extreme anxiety for a long period then you may need to have a check up by your physician. He or she can help you with this problem. You may need some counseling or even medication to help you deal with your recent loss. Sometimes you may require both.